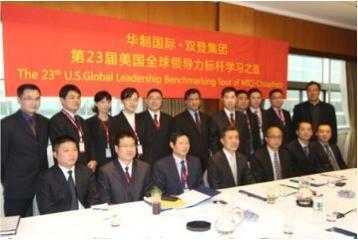 SHOTO Group arranged the U.S. Benchmarking Study Tour centering on “international vision” and “leadership improvement” from April 22 to May 1 for 16 young management members. 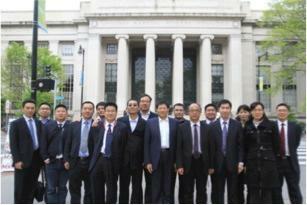 The study tour started from visiting three cities— Boston, New York and Washington D.C., three universities—Harvard University, West Point and Massachusetts Institute of Technology, and Fortune 500 corporation Goldman Sachs. The tour ended by a visit to the White House, the Statue of Liberty, the UN Headquarters, the Capitol Hill, National Air and Space Museum and Museum of Natural Sciences. 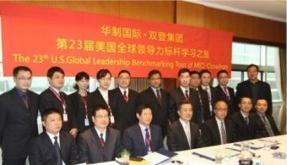 Mainly lectured by professors from Harvard University and New York Institute of Technology and doctors and colonels from West Point, the training courses covered “The Reform and Challenges of Chinese Enterprises in Internationalization and Globalization” and “Leadership Training and Building”. 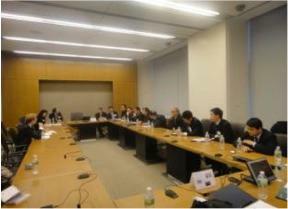 Exchanges about energy industry trends were made with vice president and other executives of world-leading bank Goldman Sachs. 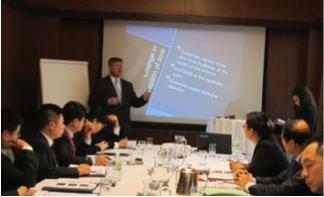 Leadership exercises were conducted under the instruction of military officers form West Point. 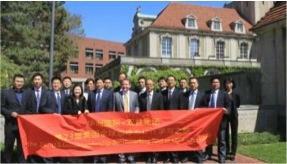 The 7-day tour also featured great speeches made by 12 world-class experts and scholars and exchanges with them. Professor Cavan put forward that the key to internationalization challenges of Chinese enterprises is direct interaction with customers. 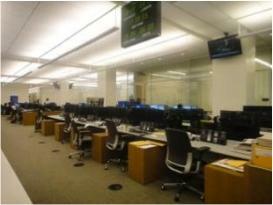 The Benchmarking Study Tour also provided exchanges with several vice presidents of investment, equity capital market and energy market. Golden Sachs believes that the energy industry now faced with both challenges and opportunities will have increasing demand for new energy with the population growth in the countries. 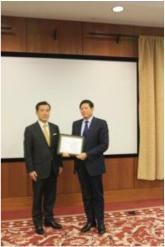 Two tenured honorary professors from Harvard University ranking first in the world gave lectures on Successful Leadership, and The Reform and Strategy of Chinese Enterprises in Globalization. Based on Harvard’s world-renowned case-based teaching model, The Path to Successful Leadership is drawn from an analysis on some 7,000 successful people and concludes the general development planning of successful people. Through internationalization case study on Haier and other enterprises, The Reform and Strategy of Chinese Enterprises in Globalization points out the obstacles in globalization development and top ten winning strategies for transnational corporations. 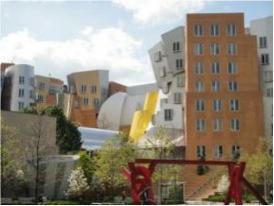 Reputed as “The World’s Best Technology University”, MIT is known for its idea of “the most fundamental focus is study, that’s to explore new problems independently”, encouraging the students to break away from convention and continue to innovate.